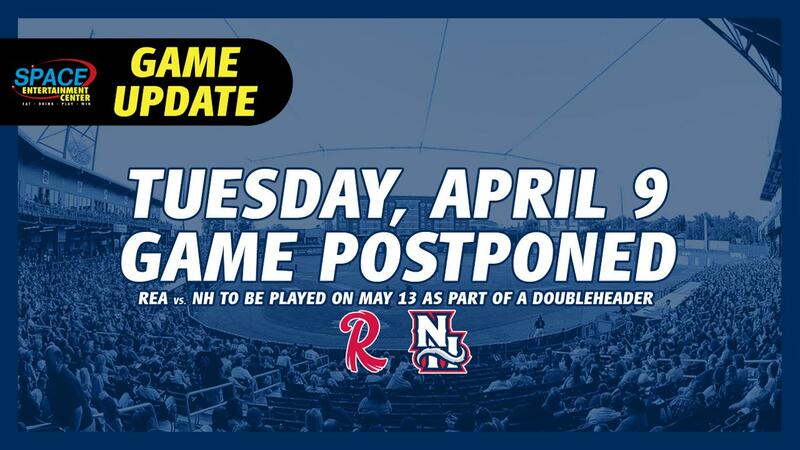 Manchester, NH - Tuesday night's game between the New Hampshire Fisher Cats and Reading Fightin Phils has been postponed due to inclement weather. The game will be made up as part of a doubleheader on May 13. The two teams will play a pair of seven-inning games, with first pitch of Game 1 scheduled for 5:35 p.m. Fans with tickets for Tuesday's game can redeem them at the Fisher Cats Box Office in exchange for any other Fisher Cats regular season home game in 2019. The Fisher Cats and Fightin Phils will play a single nine-inning game on Wednesday night, with first pitch scheduled for 6:35 p.m. at Northeast Delta Dental Stadium. It's Obsolete Night at the ballpark, as the Fisher Cats pay tribute to the Walkman, VCR, and other relics of technology.